Easy baby shower cake ideas. If you want to make and decorate your own baby shower cake, we highly recommend the pictures and simple instructions from Cut-Up-Cakes . 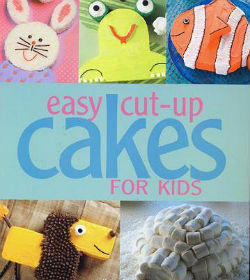 These cakes ideas are really cute, really fun, and best of all-really easy to do! Need baby shower ideas for CUPCAKES? We have those too! If you can bake a simple cake and cut it into basic geometric shapes, you can make this really cute sail boat (perfect for baby boy shower theme). You can use chocolate, marble, yellow, white, or what ever cake batter flavor you want. 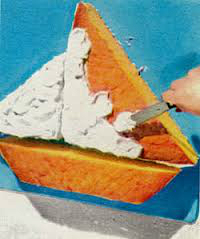 After your cake has completely cooled, cut diagonally across to form the sail and the haul of the boat. Use homemade frosting or your favorite pre-made from the store. Betty Crocker has many tasty options. If you need a special color, just add food coloring to white frosting. TIP: If you want to make a yummy butter-cream or whipped frosting with little effort, buy a box of Wilton mix and simply follow the directions. It will taste just like the pro’s did made it! 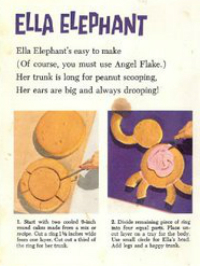 If you’re planning a Safari, Zoo, or a Wild Jungle baby shower theme- make an elephant, lion, monkey, or giraffe with patterns found in the book. 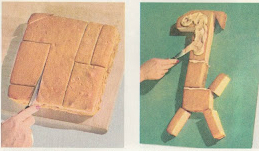 Coconut frosting is illustrated in many of the “cut-up cake” pictures you see. The frosting you use is entirely up to you. No doubt, coconut is not the most popular flavor. Butter cream or whipped frosting are usually the favorites. 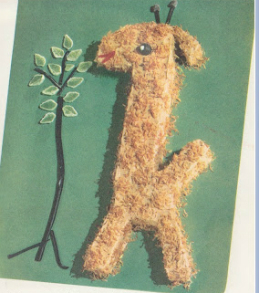 There are many more animal shapes that can be made out of just one cake. 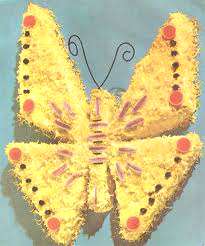 Butterfly’s Lions, and Swans are just a few. 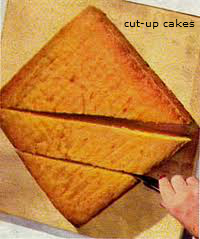 If you would like to see more images on line, please use the Google search bar and enter the term: Cut Up Cakes. Happy Cake Baking and Making!